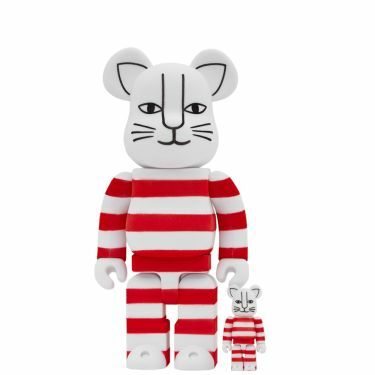 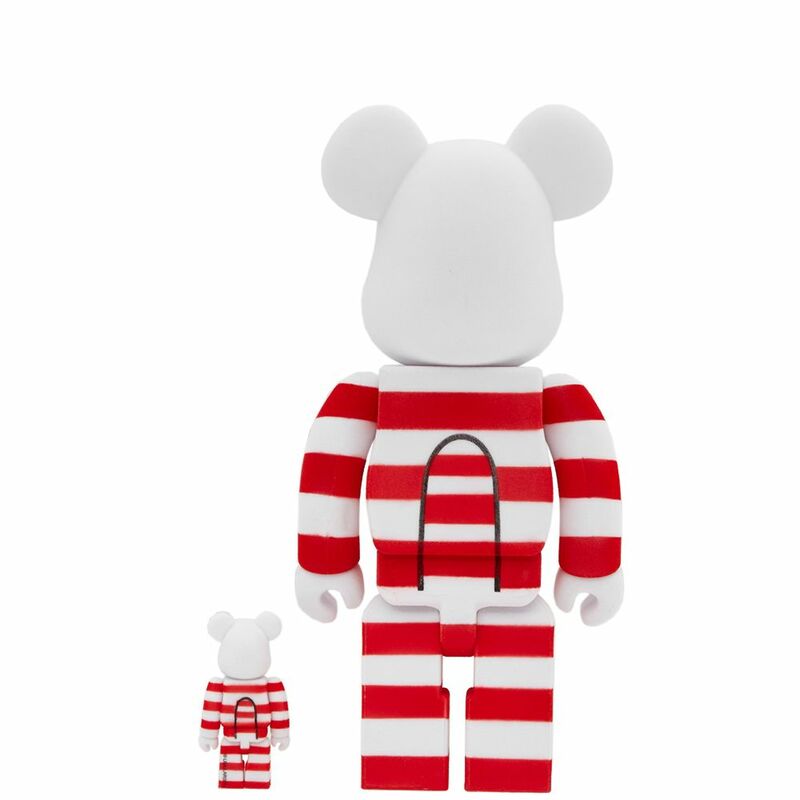 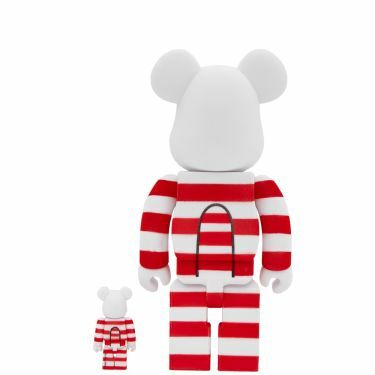 Opening the gates of her ‘Small Zoo’ to Japanese toymakers Medicom, Swedish ceramicist and designer Lisa Larson re-shapes her ‘Sassy Standing Cat’ into a collectable Be@rbrick once again. 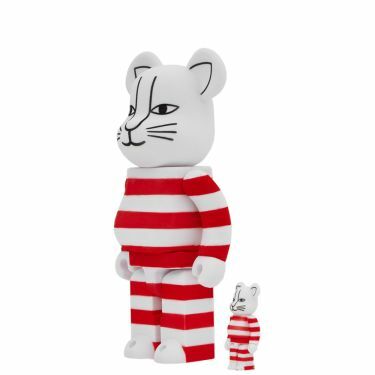 It's not the first time the action-figure favourites have taken the form of her sculptures, but this time-around the ‘Katt’ switches his ‘tail up in the air’ stance for standing tall at 7cm and 28cm. 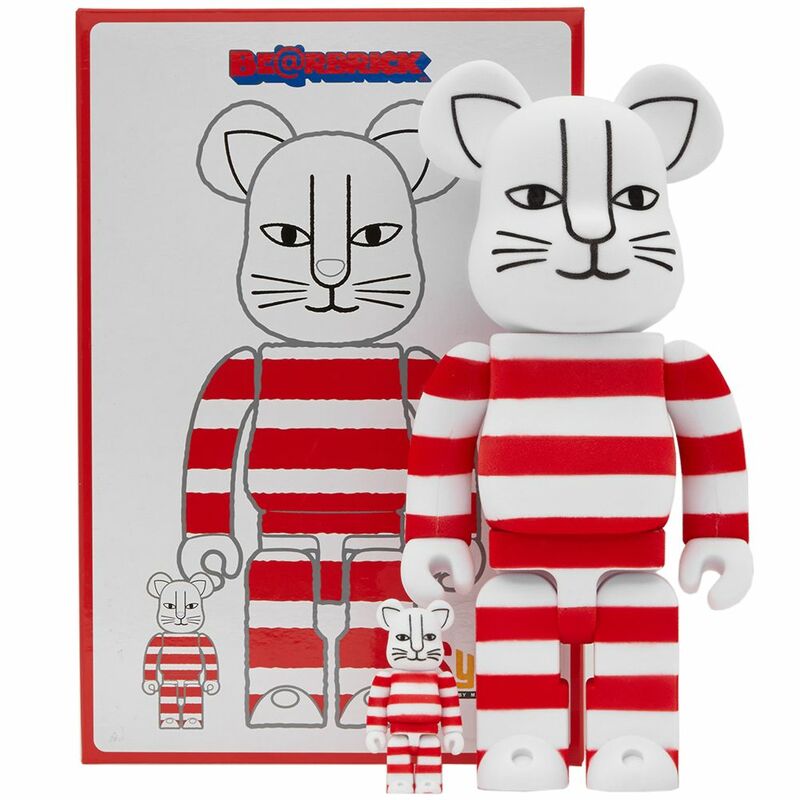 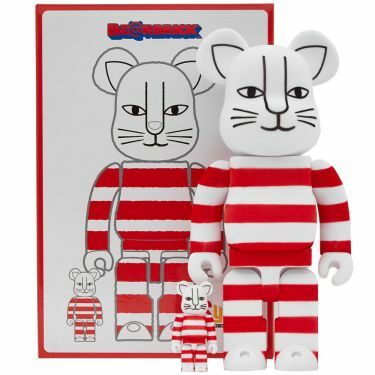 Bearing the stripes of the original model; painted eyes, nose and whiskers add feline features to “Mikey” Flocky. 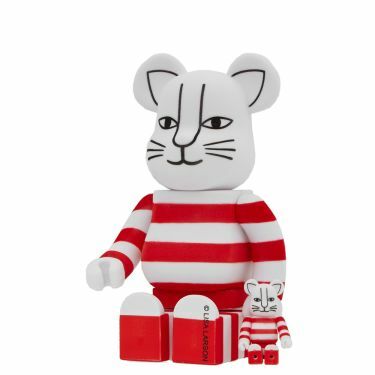 Approximate Dimensions: Height 400% - 11" / Height 100% - 3"